Welcome home to 8700 Lambach Lane in the convenient and quaint Raintree Meadows subdivision. This incredible home is situated on a corner lot with access to a cul-de-sac, is totally move-in ready, has a NEW ROOF and features too many updates to mention here! Fall in Love with the marble flooring found through-out the entry and Eat-in Kitchen. The Eat-In Kitchen is open to the Family Room making entertaining fun and easy. NEW CABINETS, NEW COUNTER-TOPS, NEW STAINLESS APPLIANCES and NEW FIXTURES will WOW you in the Kitchen. The Family Room offers a fantastic brick fireplace, a vaulted ceiling and access to the nice sized deck. The MASTER BEDROOM is also located on the first level and it is absolutely AMAZING!The Master Bedroom is spacious and offers plenty of room for a large bedroom ensemble and comes complete with a WONDERFUL EN-SUITE MASTER BATHROOM, making this space the perfect retreat. The master bathroom offers dual vanity, jetted tub, separate NEWLY TILED SHOWER and NEW FLOORING. The second level offer 2 spacious bedrooms, a full bathroom and plenty of closet space. 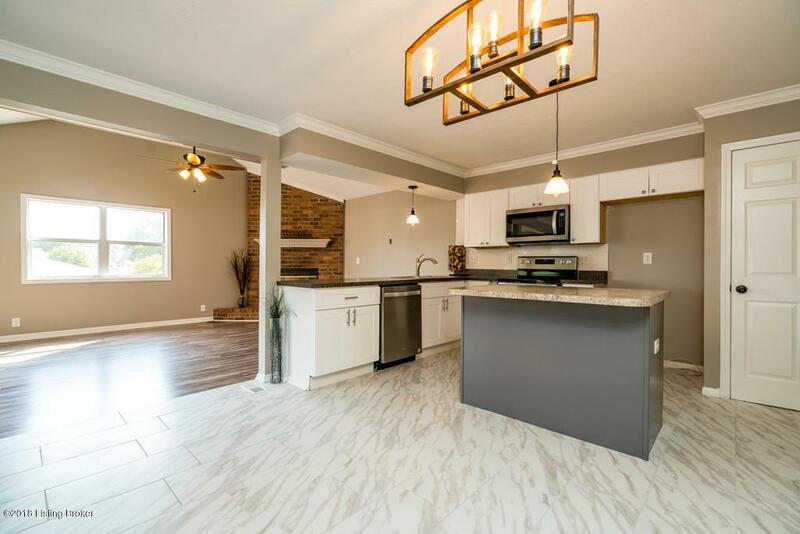 The lower level features a room that could easily be used as a bedroom because of the closet, additional Family Room, Office/Flex Space, access to the AMAZING BACKYARD and patio. The laundry and 2.5 car garage are also found in the lower level. You MUST see this fantastic house in person to appreciate all of the updates. 8700 Lambach Lane will not disappoint, schedule your private viewing today!